Hockey Canada announced the names that will be heading to its National Junior Team Selection Camp in preparation for the 2019 World Junior Championship in British Columbia. Among the 19 forwards and 12 defensemen, a pair of Red Wings prospects and a current Flint Firebirds forward will have a chance to make Team Canada’s roster. Forwards Joe Veleno (DET No. 30 overall, 2018), Firebirds captain Ty Dellandrea (DAL No. 13 overall, 2018) and defenseman Jared McIsaac (DET No. 36 overall, 2018) will all be heading to the camp. 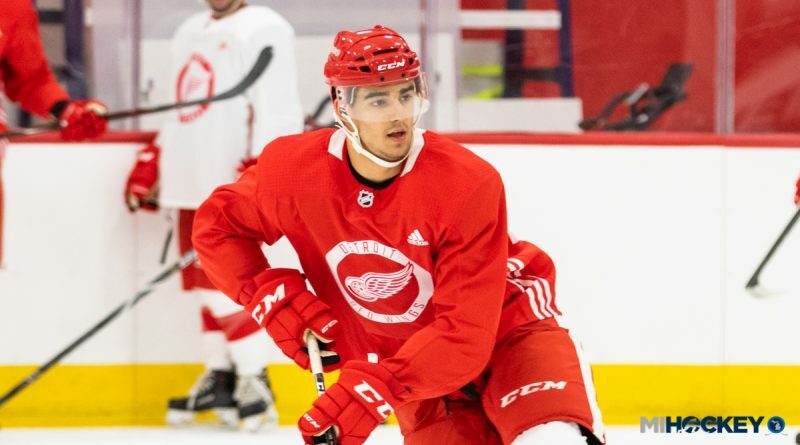 ALSO: Filip Zadina is on the Czech Republic camp roster, but it will come down to whether the Wings think he’s better off staying in Grand Rapids or not. After impressing in Wings development and training camps, Veleno has gotten off to a scorching-hot start with his Drummondville Voltigeurs of the QMJHL, having posted 19 goals and 45 points in just 25 games. McIsaac, a 6-foot-1 blue liner, has certainly taken a step forward in production this season, with 21 points through his first 20 games after recording 47 in 65 last year. Dellandrea has been one of the few bright spots in an otherwise difficult season in Flint, averaging more than a point per game thus far, with 28 in 25 games. Current Red Wings forward Michael Rasmussen (5-4–9 in 25 GP) was not among the players named. Detroit management has until the NHL’s Dec. 19 holiday roster freeze to send him should there be a change of mind. For a look at the full roster, click here.